In this Part we will explore the meaning of the 34th Shloka of Sri Vishnu Sahasranamam. The word Ishta has 2 connotations. The first meaning is ‘to like’ and the second is ‘to sacrifice’ or ‘Yagna’. Sri Adi Sankara describes this as ‘Paramanandaatmakatvena Priyah Ishtah – He is in the nature of Pure Joy hence liked by all’ or ‘Yagnena Poojitah iti vaa – He is worshipped by employing the medium of Yagna. He is Ishtah because He is liked by everyone and this is because He is the Supreme Bliss. 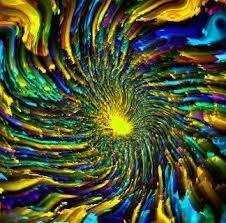 The Dharma Chakram writer emphasises that there is nothing else that is worth liking and going after, because nothing else is Permanent Bliss. We should learn to overcome the desire for material objects and transcend to the desire for understanding the Atma and ultimately unite with ParamAtma. The second interpretation is that He is the one who is worshipped as the central deity in any Yagna or Sacrificial rites. In fact the word Yagna is synonymous with MahaVishnu; so he is Ishtah in this sense. 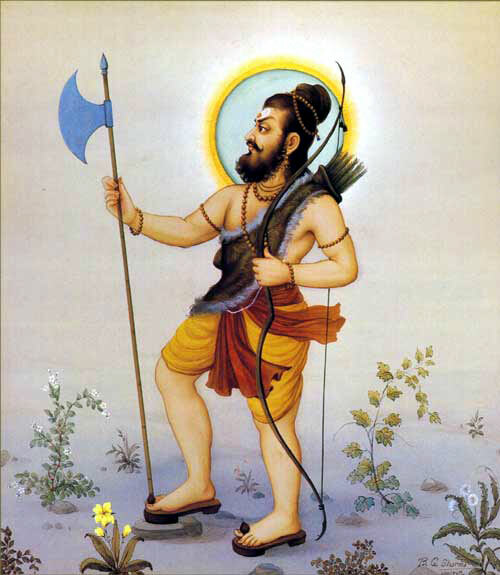 Kulashekara Azhwar was born to the Chera King Dhidavradhan and Nadhanayagi during the 8th century under the star ‘Punarvasu’ (same as that of Lord Rama). He is said to represent Koustubham, the divine gem that adorns the Lord’s chest. Kulashekaran learned all the scriptures and trained as a warrior. He ascended the throne in due course, upon advancing age of King Dhidavardhan, and ruled the kingdom justly and righteously. Once, without knowing Kulashekara’s valour, the neighbouring Chola and Pandya Kings came to conquer his kingdom and during the battle that ensued, Kulashekaran won effortlessly. Impressed by his prowess and gallantry, the Pandya King gave his daughter’s hand in marriage to Kulashekara. Kulashekara was blessed with a son (Dhidavradhan) and a daughter (Ilai). Once Lord Vishnu appeared in his dream as Thirupathi Venkatachalam and said, “Oh Kulashekara! Remain true to the path of Dharma, devotion and love. Realise your purpose of Life” and the Lord vanished. Kulashekara woke up with a start. He was overwhelmed with the Lord’s love and was only meditating on the Lord at all times. He said to himself, “Of what use is all this wealth and all these conquests, so many deaths in the battlefield. 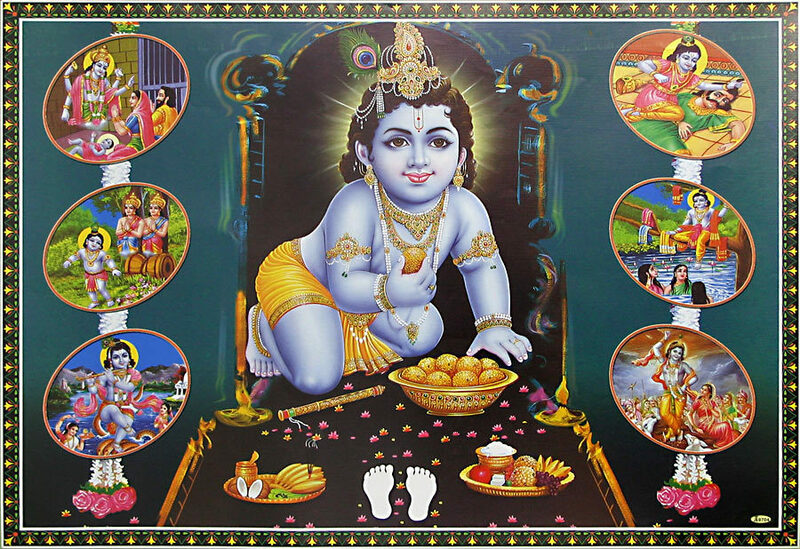 Of what use is my life if I haven’t served Lord Narayana? ” and he began ruling the kingdom without any attachment; like water droplets on a Lotus Leaf. He invited knowledgeable Upanyasakars and immersed himself in higher level of spiritual learning. He became a staunch devotee of Lord Rama. He believed there was no Lord greater than Lord Rama who was magnanimous, modest, dutiful, charming, divine and ever righteous. He would spend long hours listening to discourses from the great epic, ‘Ramayana’. During one such discourse, the Pauranika (story teller) spoke about the difficulties faced by Lord Rama in preparing for the battle against Ravana. This thought perturbed King Kulashekara. At once he ordered his army to prepare for the battle against Ravana. He wanted to be by his Lord’s side during the battle. His Ministers were perplexed and the Upanyasakar too was stunned but understood the King’s frame of mind. He pacified the King and completed the story saying Sri Rama defeated all the Rakshasas. 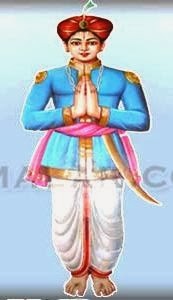 On hearing this and the greatness of Sri Ramar, he was very much pleased and ordered his army to get back to barracks. This explains about great bhakti of Kulasekarar towards the Emperumaan. That night, Lord Rama appeared in his dream and said “Kulashekara, I am deeply moved by your readiness to offer me help in the battle. Your deep affection and selfless gesture is admirable. By your thoughts and action, you are just like my brother Lakshmana, who is also attached to me deeply. 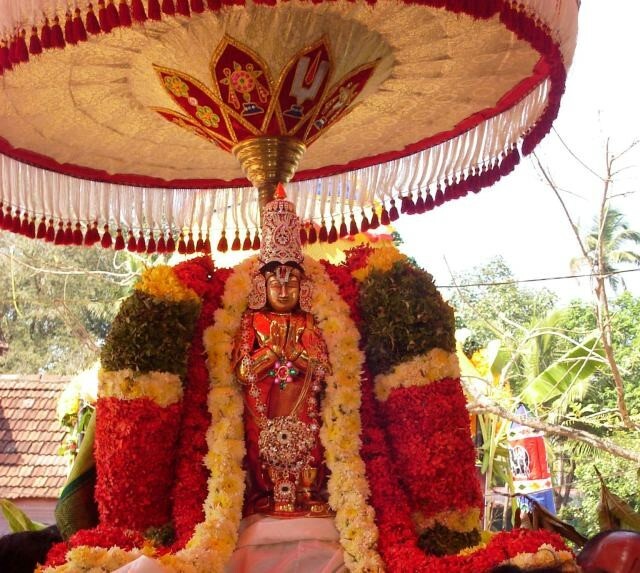 From today you will be called Kulashekara Perumal like IIayaperumal Lakshmana”. Overwhelmed with bliss from the previous night’s vision of Sri Rama, King Kulashekara installed a deity of Lord Rama and offered prayers to it regularly. On one occasion during Sri Rama Navami day, the King was astonished to see the Navaratna Mala on the Lord’s deity missing. He immediately made enquiries about the same. The Ministers and Soldiers blamed the Vaishnava Saints and Scholars of thieving it, since they were visiting the Palace every day. The King was very hurt to hear his subjects’ false accusation. The King defied by asking, “What are you saying? Are you talking about these Adiyars of Sriman Narayana? Are you not ashamed to say that? How dare you think of them as thieves when their love is only for the Lord, who considers gold and dust as the same; they are noble men and you think they have stolen the necklace? The King was miffed and he asked them to bring a pot filled with poisonous snakes; Bewildered, the Ministers obeyed. 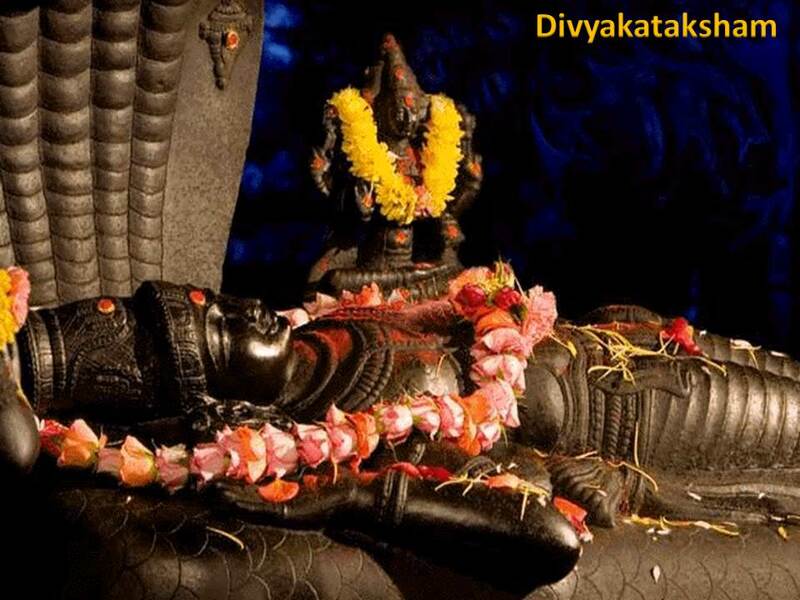 He prayed aloud to the Lord Narayana and said “If the Mala has been taken by any of the Vishnu Bhaktas, let the snakes bite me; If not, let me come out unscathed.” He put his hand inside the pot of the hissing snakes. The snakes did not harm him. The Ministers fell on King’s feet pleading guilty of taking the precious Mala and sought his forgiveness. They explained that they removed the Mala and put the blame on the Bhaktas so that the King will start disliking them and begin to concentrate on administrative matters of the Kingdom. Kulashekara appreciated the primary concern of his Ministers was the welfare of the Kingdom and its effective administration. He immediately decided to crown his son as the King and embarked on a pilgrimage singing glory of the Lord. 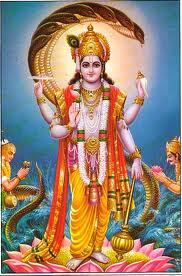 King Kulashekara then spent the rest of his life in worship, by composing verses in praise of Lord Vishnu. He composed Mukunda Mala in Sanskrit surrendering to Lord Krishna and Perumal Thirumozhi in Tamil containing 105 Pasurams enlightening us towards the path of realisation. Some of his Pasurams contain his deep sense of regret for not being born during Rama’s time. 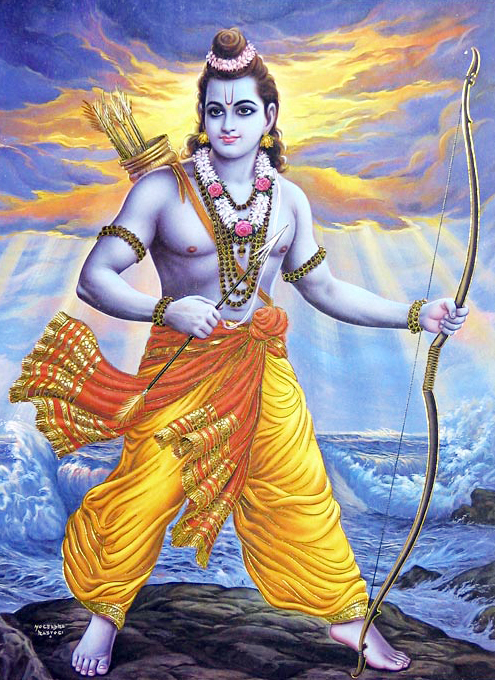 He visited almost all the temples and he was deeply devoted to Lord Sri Rama. He had sung lullabies for Sri Rama as “Raghavane Talelo” and his famous Pasuram (below) is sung as a lullaby in many South Indian households! You are the world-famous jewel born of the precious womb of Kousalya. You severed the heads of Lanka’s king Ravana. My Dark-gem-Lord of Kannapuram, surrounded by high stone walls inlaid with gold. My sweet child Raghavane, Talelo! One can greatly be moved by his Pasurams wherein he longs for being born as a step in Tirupathi Lord Venkateswara temple. He even wished to be born as a servant holding the Golden Bowl in front of Sriman Narayana to spit the water after washing, gargling and cleaning His mouth in the morning. Such was his desire to serve the Lord endlessly. He says “I do not want to be a King even if it is to rule this earth or heaven where there is great wealth, and where there are beautiful damsels dancing around; I do not wish that; All that I want is to be born as a fish in the pond of PushkaraNi in Thirupathi or as the Senbagha tree standing in front of Thirupathi temple or just as a big rock. After spending several years of devoted and dedicated service to the great Sri Hari, he finally merged with the Lord’s feet. Oh Lord Sri Venkateshwara! You are the only one who can eradicate my karmas. I want to be like the stepping stone at the entrance of your Sannidhi where your great devotees, Devas , Gandharvas long to seek your Darshan. I wish to lie as your door step where devotees, celestials and heavenly dancers wait in order to see your coral lips constantly. In honour of Sri Kulashekara Azhwar, the threshold/doorstep leading to the sanctum sanctorum of Thirumala and other ancient Vaishnava Temples are called as “Kulashekara Padi”. As Adi Sankara puts it ‘Sarveshaam antaryaamitvena Avishishtah – He is deeply immersed as the ‘antaryami’ in everyone and hence He cannot be easily distinguished or identified’. Sri Parasara Bhattar interprets that He is impartial to all. He is one who does not differentiate between beings and treats them all alike like a mother treats her children. Some versions treat ‘Ishto Avishishtah’ as a single name. SwamI ChinmayAnanda interprets this Nama as Vishishtah instead of Avishishtah meaning One who is Special and Unique or One who is the noblest and most sacred. There are three different meanings as explained by Sri Adi Sankara. The first explanation is ‘Shishtaanaam Vidushaam Ishtah Shishteshtah meaning He is loved by his devotees hence he is Shishteshtah’. The second interpretation is ‘Shishtaah Ishtaah asya iti’ meaning ‘He loves his devotees dearly hence he is Shishteshtah’. The third explanation is ‘Shishtaih Ishtah Poojitah iti vaa’ meaning ‘He is worshipped by his devotees hence he is Shishteshtah’. ‘Priyo hi jnaanino ’tyartham aham sa ca mama priyah meaning My enlightened devotees are extremely dear to me as I am dear to them’. Bhagavan says this in the context of the four types of people who seek him namely the Troubled, Wealth seekers, the Curious and the Enlightened. Of these the Enlightened are the true devotees and there is mutual love between them and Bhagavan. The word Shikhanda means a tuft of hair or the plume of a peacock. Sri Adi Sankara says ‘Shikhandah kalaapah alankaarah asya iti Shikhandee Yatah Gopaveshadharah’ meaning ‘He wears a peacock feather as part of his adornment giving him the look of a cowherd hence he is called Shikhandee’. Sri Parasara Bhattar uses the meaning ‘crest’ for Shikhanda to mean that He is at the crest or peak of Lordship implying that he is the Supreme Lord of all. Nahushah comes from the root ‘Nah’ meaning ‘to bind’. As Sri Adi Sankara puts it ‘Nahyati bhootaani Mayaya atah Nahushah’ meaning ‘He binds the Universe into an integrated functioning unit from a heterogeneous collection of unrelated components hence he is called Nahushah’. Sri Parasara Bhattar interprets that he binds the five elements of Nature to create all beings. 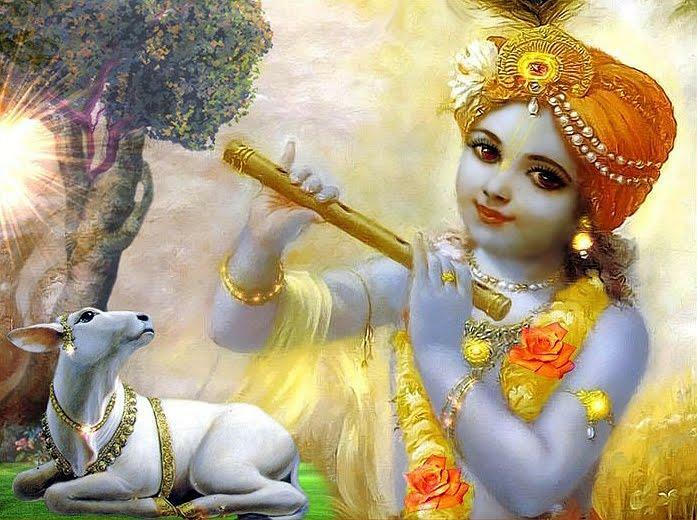 Sri Radhakrishna Shastri gives the interpretation that He binds all beings through His beauty and accessibility. Sri Satyadevo Vasishtha interprets this to mean that He binds (controls) all beings and so He is Nahushah. This binding extends to the world we observe and even to the different parts of the body being bound appropriately so that they function as a unit. So also the different planets are bound together so that there is order. This Nama is derived from the root word ‘Vrish’ meaning to drench or to shower. Sri Adi Sankara explains this as ‘Kaamaanaam Varshanaat Vrishah Dharmah – He is Vrishah because he showers boons and gifts on his devotees’. Consequently he is also the embodiment of Dharma or righteous conduct. Since Vrishah stands for a shower we can also interpret this as Bhagavan being a shower who cools us who are scorched by the heat of Samsara. Meaning: “O Arjuna! Vrisha is explained by the lexicographers and likewise known in this world as sacred Dharma. Hence know Me as Vrisha.” Thus, Vrisha and Dharma are synonymous. Sri Parasara Bhattar relates this to Parashurama Avatar. He interprets this to Bhagavan overcoming his own anger effortlessly. As an example at the mere request of Kashyapa Maharishi, He gave up His anger which had previously resulted in the destruction of 21 lineages of Kshatriyas. 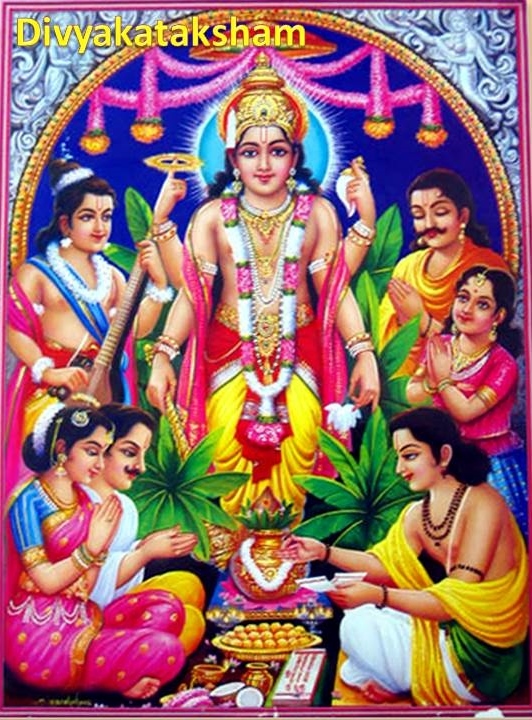 According to Sri Adi Sankara ‘Saadhoonaam krodham hanti iti Krodhahaa – He helps the pious people overcome their anger and hence he is called Krodhahaa’. Desire and Anger are two root causes of a man’s downfall. Anger is often the outcome of unfulfilled desire. Bhagavan takes away the feeling of desire for material objects from his devotees and as a bye-product; any potential anger is also removed. Sri Radhakrishna Shastri points out that this Nama indicates that Bhagavan can control His anger just at the mere thought of controlling it. In His incarnation as Lord Rama, we find that He became intensely angry at times (Rosham Ahaarayat Teevram – 3-30-19), (Krodhasya Vashameyivaan – 6-59-136), but He can also get rid of this anger at will in an instant. The Dharma Chakram writer quotes Sri Ramakrishna Paramahamsa on how to handle situations which may require one to be angry – “Hiss but don’t bite”. In other words, do not ever let your anger get to a point where you cause harm to others. Meaning: The Lord came on Earth wielding a battle-axe angrily rolling the crowned heads of twenty one kings, then bathed in the river of their gore and calmed down getting rid of his anger. According to Sri Parasara Bhattar this Nama refers to Bhagavan’s own anger, which he developed at times while encountering the demons or evil. He was intensely angry at Hiranyakashipu when he harassed Prahlada. Similarly in His incarnation as Parashurama, He got angry at Kartaveeryarjuna and destroyed 21 generations of the Kshatriya race, before giving up His anger as mentioned in the previous Nama. 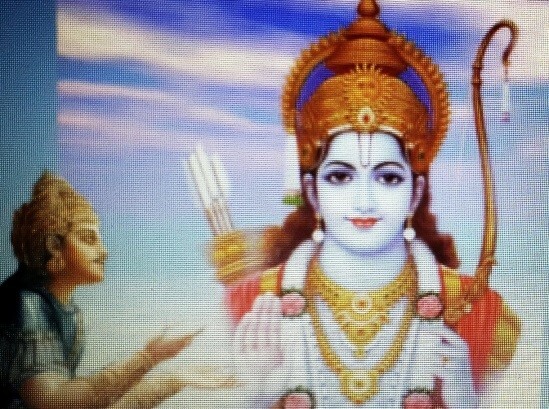 Sri Adi Sankara explains this as ‘Asaadhushu krodham karoti iti Krodhakrit – He produces anger in the minds of evil people and hence he is called Krodhakrit’. This anger leads to their own downfall as in the case of Kamsa or Hiranyakashipu. Sri Parasara Bhattar interprets this Nama as Parashurama’s incarnation and refers to the slaying of Kartaveeryarjuna. Sri Adi Sankara says ‘Kriyate iti Karma Jagat tasya Kartaa – He is the creator of the Universe and hence he is called Kartaa’. VIshva means the Universe and Baahu means the arm. Sri Adi Sankara says ‘Vishveshaam Aalambanatvena Vishve baahavah asya iti – Since the whole Universe is supported by him he is effectively the arm on which the Universe rests and hence he is called Vishvabaahuh’. He then goes on to give another interpretation ‘Vishvatah Baahavah asya iti vaa Vishvabaahuh – His arms extend to every nook and corner of the Universe’. In other words He has arms that are endless and reach out to support the Universe, and extend everywhere for the same cause. In Svetasvatara Upanishad, we have reference to Vishvato-baahuh( 3.3). Everything depends on Him, and in this sense He is Vishva-baahuh. Sri Parasara Bhattar interprets the Nama with respect to Parashurama Avatar, and thus the reference here is to the destruction of 21 generations of Kshatriyas. 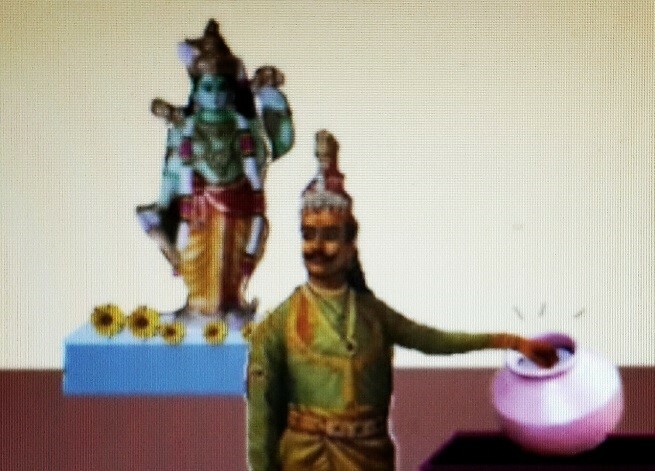 Bhagavan uses His arms for removing the thorns (evil-doers) for the good of the world. Hence He is called Vishva-baahuh. The Dharma Chakram writer points out that as we use our hands in performing our Karmas, Bhagavan performs the acts of creation, protection and destruction of the world, and in this sense He is Vishvabaahuh. This Nama should also remind us that we should use our hands for doing good to others. Mahee has two meanings namely worship or the Earth. So Maheedharah is one who supports the Earth or one who receives the reverence of his devotees. As Adi Sankara puts it ‘Maheem Poojaam Dharaneem vaa dharati iti Maheedharah – One who receives the devotees’ offerings or one who supports the world’. Swami ChinmayAnanda gives an example to explain the meaning of ‘support’. This is like the cotton supporting the cloth, the gold supporting the ornament, or the clay supporting a clay pot. In this sense, His supporting the world is the same as saying that the world and He are inseparable and the same, and the world is one of His manifestations. HE is Ishtah because He is liked by everyone and this is because He is the Supreme Bliss. HE is Avishishtah as He is deeply immersed as the ‘antaryami’ in everyone and hence He cannot be easily distinguished or identified. He loves his devotees and his devotees love and worship Him, hence He is Shishteshtah’. He wears a peacock feather as part of his adornment giving him the look of a cowherd hence he is called Shikhandee. The ‘crest’ or Shikhanda signifies that He is at the crest or peak of Lordship implying that he is the Supreme Lord of all. He binds the Universe into an integrated functioning unit from a heterogeneous collection of unrelated components hence he is called Nahushah. 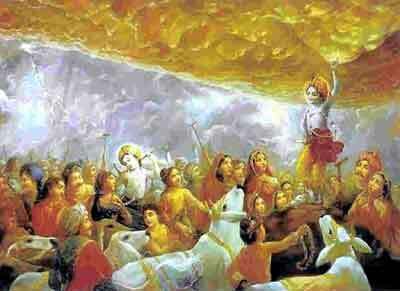 He is Vrishah because he showers boons and gifts on his devotees. Consequently he is also the embodiment of Dharma or righteous conduct. He gave up His anger, at the mere request of Kashyapa Maharishi, which had previously resulted in the destruction of 21 lineages of Kshatriyas. Hence He is Krodahaa. 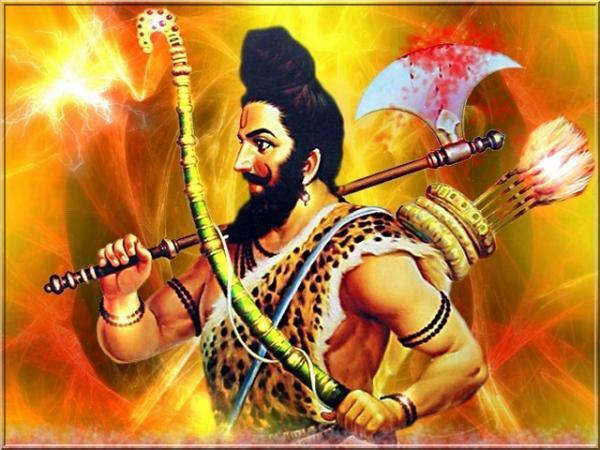 In His incarnation as Parashurama, He was Krodhakrit and was angry at Kartaveeryarjuna resuting in the destruction 21 generations of the Kshatriya race, before he gave up His anger as mentioned in the previous Nama. 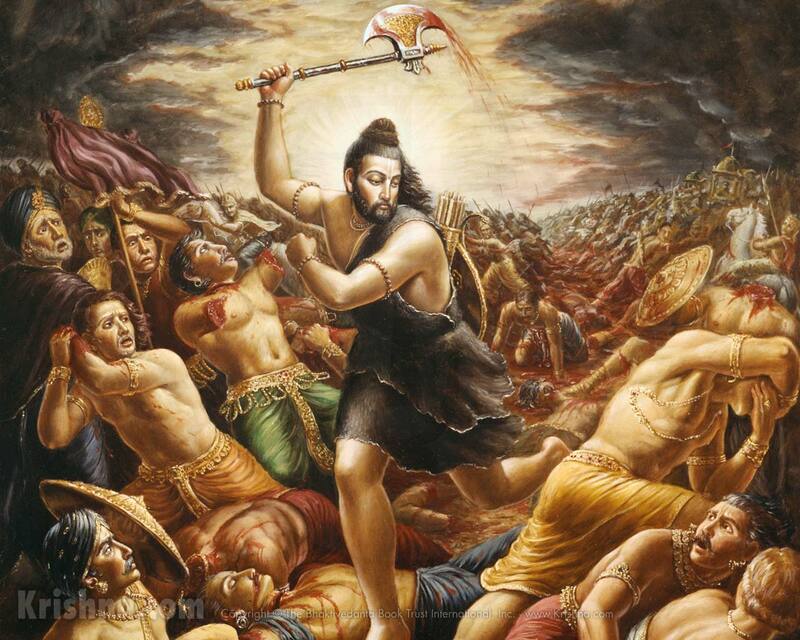 He is Karta as in his incarnation as Parashurama’s incarnation he slayed Kartaveeryarjuna. 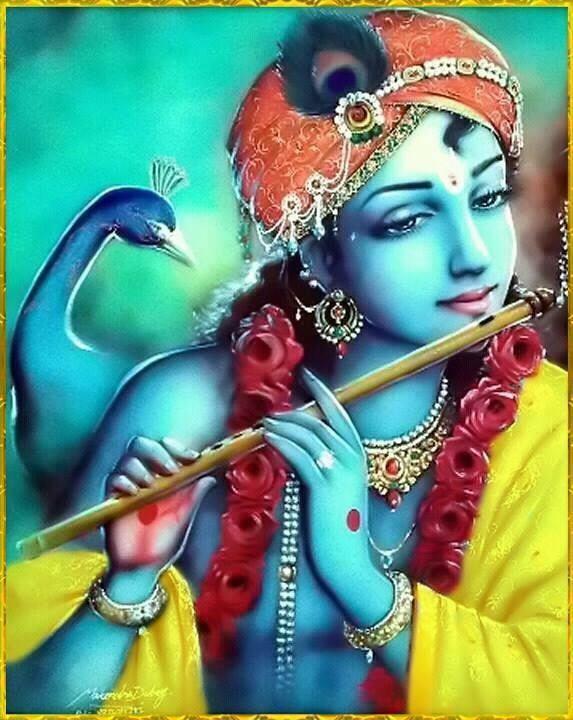 He is Vishvabaahuh since the whole Universe is supported by Him and the Universe rests on His arm. 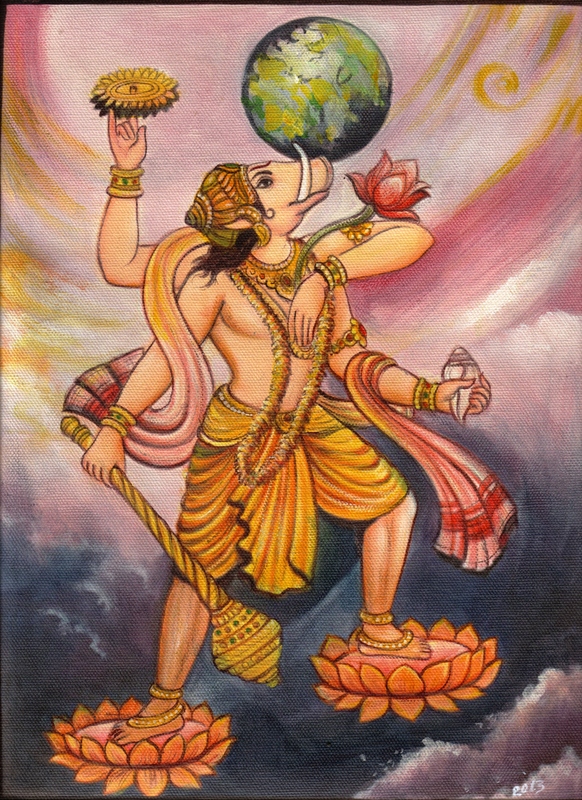 He is Maheedharah as He supports the Earth and is also revered by his devotees. He supports the world by removing the evil-doers or wicked people in the world. Easy to understand and with related stories in between, it is really a great work. Combination of devotion and ability to convey things clearly is really a gift. Thank you. Hari Om Tat Sat ! Very very useful & great work Swamy . Very interesting story sir, thank you! Thank you 🙂 Hari Om. 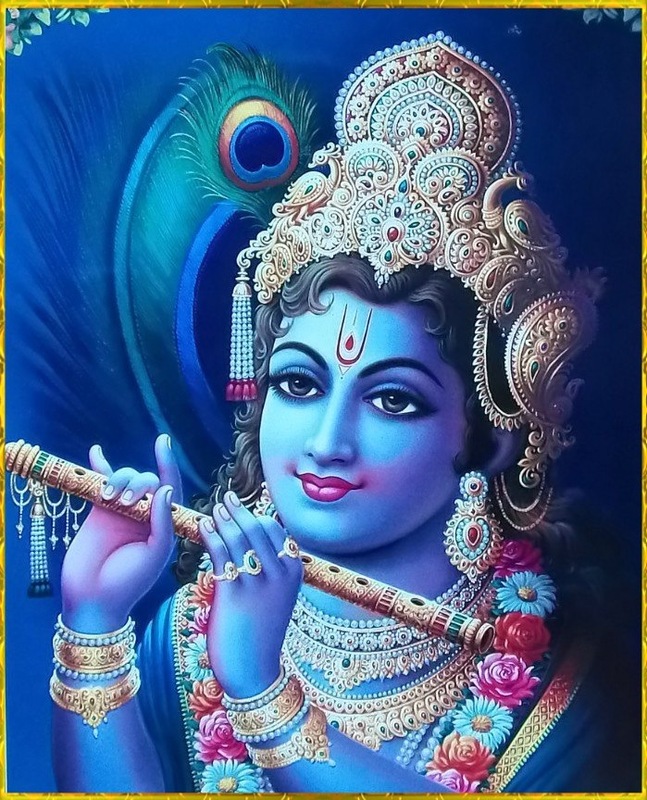 the Primeval Lord, Govinda, I worship you! I have this verse in one of the books of Krishna Avathar by Bhakthivedanta. Thank you and Hari Om! Cool! Thank you dear 🙂 Hari Om.